The assailant was vicious, the attack brutal—and it left her lifeless . . . until her pulse fluttered and she jolted awake. Now, a year later, detective Nan Vining is still questioning her strength, her safety, even her sanity: Can she ever again be the cop—and mother—she was before? And will her attacker someday return to finish the job, before she can track him down herself? Shaky but determined, Vining rejoins the Pasadena PD, only to confront a murder case that strikes close to home: A slain policewoman has been discovered beneath the Colorado Street Bridge, her body bruised, her throat slit. Even as Vining struggles to recover her standing within the department, she can’t help but feel profoundly drawn to the murdered officer, Frankie Lynde—and she is deeply troubled by the baffling otherworldly visions that haunt her waking hours. Are these mere fever dreams? Or could they be, as Vining’s daughter insists, messages from beyond the grave? 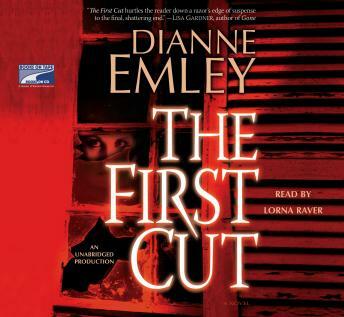 Digging deeper into Lynde’s past, Vining discovers clues that set her on the twisted trail of a killer as ruthless as he is depraved—a predator whose methods and madness recall those of her own attacker. Amid a rising tide of danger, she pushes herself to bold new limits, desperate to avenge the murder of a fellow police officer . . . and to reclaim the life she lost a year ago. Packed with suspense and action, this pulse-pounding novel will hold you breathless from the first cut to the last.